Established specialists may also be reluctant to share resources such as operating room time. Lack of adequate career counselling and personal choices about type and location of practice when new graduates have family responsibilities (spousal employment, caring for children or elderly parents) that make it harder to move to job opportunities. Half of respondents in 2012 said they hadn’t received any careercounselling. Dr. Christine Herman is a recently trained cardiac surgeon. She is like about 31 per cent of new specialists who said they chose not to enter the job market but instead pursued more training, which they hoped would make them more employable. Herman said medical schools and the provinces and territories need to do a better job of workforce planning. “I think that the training programs aren’t in sync with the needs that are out there,” Herman said. “Long-term planning, committee planning for job availability is needed.” Steven Lewis, a health policy consultant based in Saskatchewan who was not involved in the study, thinks the situation willworsen. “I think that there is no question that … almost doubling medical school enrolments since the late 1990s combined with easier paths to licensure for international medical grads was the wrong thing to do. 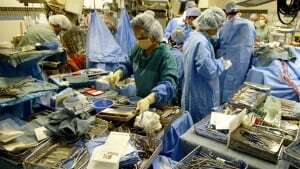 We didn’t think it through as a country.” Just under 20 per cent of recently certified specialists said they’d look for work outside of Canada, which could promote a “brain drain” to the U.S., the report’s authors said. Dr. Andrew Padmos, chief executive officer of the Royal College, said more research and consultation needs to be done to understand the challenge. The college would like to see a pan-Canadian think-tank to plan the health workforce. Australia, Britain and the U.S.
Australia is expected to have 2811 superfluous doctors by 2025, based on projections in a March 2012 report by the government body Health Workforce Australia. The figure assumes a modest 5 per cent increase in productivity in the healthcare system. Health lobby groups often said Australia would be short 2700 doctors by 2025, but the figure was misleading because it assumed no productivity gains would be made, Professor Brooks said. The boom in medical graduates would ”lead to a blowout in costs” with doctors already giving patients too many unnecessary procedures so they could earn a good living in Australia’s fee-for-service system, Professor Brooks said. 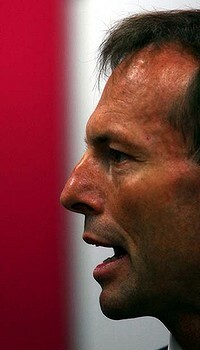 At least $20 billion of ”low value” medical procedures were already being done every year in Australia, he said. If Mr Abbott wanted a ”sustainable” healthcare system, he should address these multibillion dollar structural healthcare problems rather than “fiddling around” with fees for GP visits, Professor Brooks said. The Medicare controversy kicked off at the weekend with reports of a submission to the government’s commission of audit from Mr Abbott’s former health adviser, Terry Barnes. Mr Barnes said the government would save $750 million over four years by forcing patients who are bulk-billed to pay $6 to visit their GP for each of the first 12 visits a year. A spokeswoman for Mr Abbott said on Wednesday the Coalition ”won’t be commenting on speculation around what the commission of audit may or may not recommend”. ”Labor spent a lot of money on creating huge health bureaucracies,” she said. ”The Coalition government is committed to directing more of that money back to delivering and improving frontline services for patients.” The debate over the $6 GP fee – which experts say will harm the poorest and sickest Australians – was obscuring a more important debate over healthcare costs, Professor Brooks said. Australian governments had become ”doctor obsessed”, ignoring evidence that many of the tasks performed by doctors could be given to other health professionals such as pharmacists, nurse practitioners and physician assistants. If any of those groups or any other PA sceptics would like to contribute to the Croakey series, please get in touch. It would be good to hear your responses to the pro-PA arguments that have been made. Meanwhile, Professor Peter Brooks, director of the Australian Health Workforce Institute, explains below why he believes that Australia needs PAs. (Incidentally, he is also due to speak at at a University of Sydney seminar on May 3 titled Are we training too many doctors?.) Professional self-interest is blocking introducton of physician assistants Peter Brooks writes: Well done Croakey for running these stories on Physician Assistants (PAs). The opposition to the introduction of these health workers mirrors very much what happened in the US some 40 years ago. Strident cries from the American Medical Association that their introduction would end life as we know it. But interestingly it didnt! Why the nurses are so actively against it is interesting but one would have to ask all opposing groups are they interested in opposing for oppositions sake, are they interested in providing health services to patients who currently find it difficult to access them because the workforce is not there, or are they interested in preserving the status quo with siloed health professional practice? The health service and its constituent parts is a very complex organism but every part of it should work together to improve patient care and not work only in the interests of the health professional or have I got that wrong ? The health and social welfare workforce is currently the largest in Australia 1.4 million and like the rest of the population, it is ageing. We will need to recruit about half a million new workers at least to this sector over the next decade a significant challenge that policy makers and politicians do not seem to be fully accepting at present. What Is The Likelihood That My Patient With Chronic Hepatitis C Will Develop Cirrhosis, Hepatocellular Carcinoma, And/or Hepatic Decompensation? The cirrhosis risk score may prove to be very useful in identifying patients with significant risk for developing cirrhosis and reduce the need for liver biopsy. 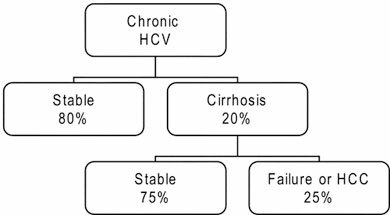 Approximately 3% to 5% of HCV patients with stable cirrhosis are at risk to develop hepatic decompensation per year; another 1% to 3% will develop HCC. As a result, monitoring and screening patients with HCV and cirrhosis on a regular basis are imperative. Since patients with any degree of fibrosis are at risk to progress, all such patients should be considered candidates for treatment with peginterferon and ribavirin. References 1. Kim WR. The burden of hepatitis C in the United States. Hepatology. 2002;36(5 Suppl 1):S30-S34. 2. Yano M, Kumada H, Kage M, et al. The long term pathological evolution of chronic hepatitis C. Hepatology. 1996;23:1334-1340. 3. Poynard T, Bedossa P, Opolon P. Natural history of liver fibrosis progression in patients with chronic hepatitis C. Lancet. Alternative Medicine Use by Canadian Ambulatory Gastroenterology Patients: Secular Trend or Epidemic? “Takeda Canada’s primary goal will be to help bring important medicines to the patients in Canada who need them.” Currently, Takeda focuses on therapeutic areas that include diabetes, cardiovascular disease, central nervous system disorders, gastroenterology, bone and joint disorders, chronic kidney disease/anemia and gynecological disorders. Takeda Canada will register and commercialize medicines from Takeda’s portfolio of primary care and specialty products. Takeda Canada intends to file its first New Drug Submission (NDS) with the Canadian Health Authority by the end of 2009. “Our government is pleased to welcome Takeda Pharmaceuticals to Ontario – we’re proud that Takeda chose Ontario to be the home of their Canadian headquarters,” said Sandra Pupatello, minister of International Trade and Investment. “This decision speaks to our highly skilled workforce, leadership in innovation, and competitive business climate.” Daaron Dohler will serve as the general manager and president of the new entity as of April 1, 2009. Dohler’s recent responsibilities at Takeda have included leading Takeda’s Global Alliance Research department and creating Takeda’s Global Alliance Management organization. During his career in the pharmaceutical industry, he has worked in a variety of different roles including marketing, business development, new drug development, and operations. Dohler received his MBA from the Kellogg Graduate School of Management and his undergraduate degree from Northwestern University. Takeda Pharmaceutical Company Limited Located in Osaka, Japan, Takeda is a research-based global company with its main focus on pharmaceuticals. As the largest pharmaceutical company in Japan, and one of the global leaders of the industry, Takeda is committed to striving toward better health for individuals and progress in medicine by developing superior pharmaceutical products. Additional information about Takeda is available through its corporate website, http://www.takeda.com . Takeda Pharmaceuticals North America, Inc. and Takeda Global Research & Development Center, Inc. Meanwhile, Canadians have told Statistics Canada that waiting lists and wait times rank among their top health concerns. Despite the harsh realities surrounding digestive disease, Canadians must wait an inordinate amount of time for gastro-intestinal consultations and access to specialized testing. Case in point: 25% of patients with alarm symptoms, indicators of disease such as cancer, are forced to wait 4 months before their case is seen by a specialist. That’s far longer than the 3 weeks Canadians have told us that they’re willing to wait. Frankly, four months is unacceptable. It is time we got our priorities straight. Surprisingly, in developing its wait list reform of the Canadian health care system, Paul Martin’s government overlooked digestive disease. The Canadian Association of Gastroenterology has sent a call to action to Prime Minister Paul Martin, urging him to include digestive disease as a health-care priority and ensure Canadian patients obtain necessary and timely access to our specialists. Canadian gastroenterologists are already out of the starting block. The Canadian Association of Gastroenterology has done its homework, talked to patients, and is now armed with information that will be crucial in improving the Canadian health care system. We have developed 24 recommended targets for medically-acceptable wait times for gastroenterology, based on a study conducted by nearly 200 Canadian GI specialists who captured data on 5,500 patient visits. We are ready to work with Canadians to make Paul Martin’s government pay attention.